The windows were supplied and installed to this complex project by Ormskirk based specialist installer Countrywide UPVC. 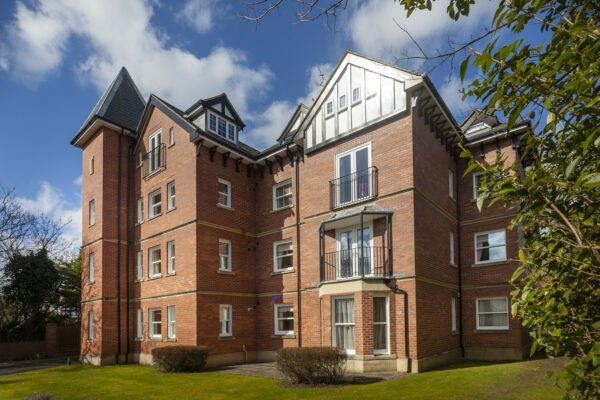 Les Moon, Project Leader for Westcliffe Court Management Company & resident, said: “Westcliffe Court was built in 2002 with first generation softwood framed sash windows with 10mm double glazing. Over time the seals had started to fail and the building had become very draughty. Also, the building is located in close proximity to the sea which causes the paint to quickly degrade, and so we were looking at a schedule of repainting the window frames every three to four years, which when you factor in the need for scaffolding was a very costly proposition for the residents. “We decided that we needed to seek an alternative that could better withstand the rigours of the environment in which the building is situated. “Because the building is located in a conservation area any changes to the exterior have to go through planning. Our first two applications to change to PVC-U were declined by Sefton Council in 2007 and 2010 because they were adamant that replacement window frames should have wooden frames exactly like the originals. Paul Campbell, Director of Countrywide UPVC, said: “The planning process to seek the replacement of wooden frames with PVC-U in a conservation area can be a nightmare, but we were happy to work with Westcliffe Court’s residents to find a suitable solution. “We are extremely loyal to Profile 22 because of the quality of products and services they offer. In this instance, they were the only company who was able to service the very specific list of requirements made by Sefton council. 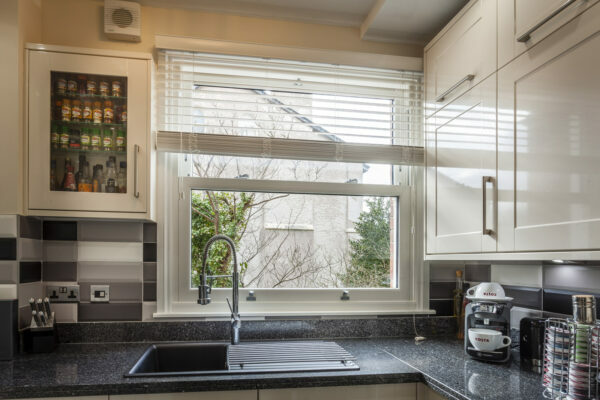 “The council was not only concerned that any replacement PVC-U product exactly matches the look of the wooden originals, but also that the mechanism of the windows worked in a certain way – using a mechanical Mortise-and-Tenon joint rather than a welded 45 degree joint. “Profile 22’s Specification Manager completed all the designs for the windows and attended both residents and planning department meetings, with samples, making a complicated process run as smoothly as possible. Andrew Reid, Commercial Sales Director at Profile 22, said: “Our vertical sliding windows were the perfect solution for this apartment building. 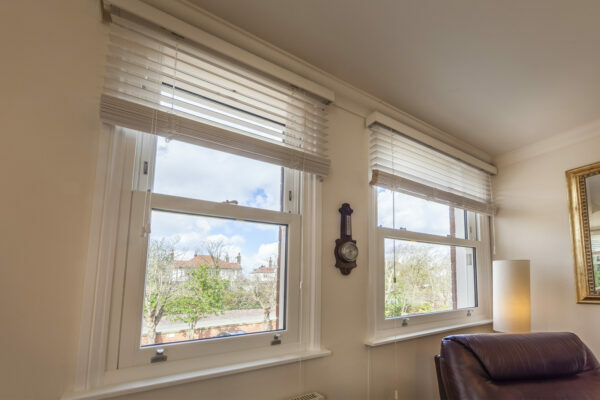 They exactly match the look of traditional sliding sash windows whilst offering all the benefits of a high-performance modern material that delivers a cost-effective solution for residents. Paul continued: “We started on site in September 2016 and ran the schedule of works to suit the residents, working from flat to flat rather than from one side of the building to the other. Les Moon said: “The installation process was virtually seamless. Countrywide could not have been more accommodating to our residents and made the process as painless for us all as possible. Les said: “All the residents are absolutely delighted with the new windows. They are extremely pleasing aesthetically and only under very close scrutiny can you tell that they’re not wooden frames. “They are also performing exceptionally well with many residents are reporting that they’re not having to switch their heating on half as much as they were previously, so the windows are already saving us money on our heating bills.